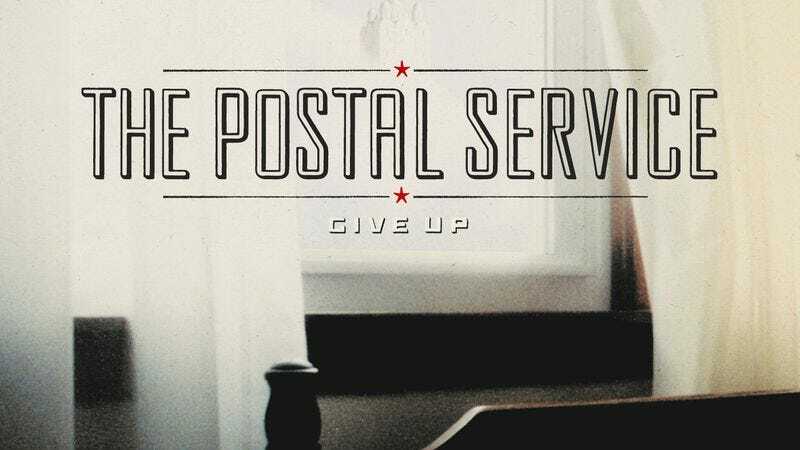 People are still really into The Postal Service. Sub Pop Records announced today that the band’s only record, 2003’s Give Up, is now certified platinum, meaning it’s sold over a million copies—1,067,087, to be exact. It’s only the label’s second platinum record ever, the first being Nirvana’s Bleach. Give Up’s success has been a slow burn: Even with its hit single “Such Great Heights,” the album never went higher than No. 114 on the Billboard Top 200 chart. Some of this may have been due to the fact that it wasn’t really supported by all that much touring from band members Ben Gibbard (Death Cab For Cutie) and Jimmy Tamborello (Dntel), who were obviously busy with other things.